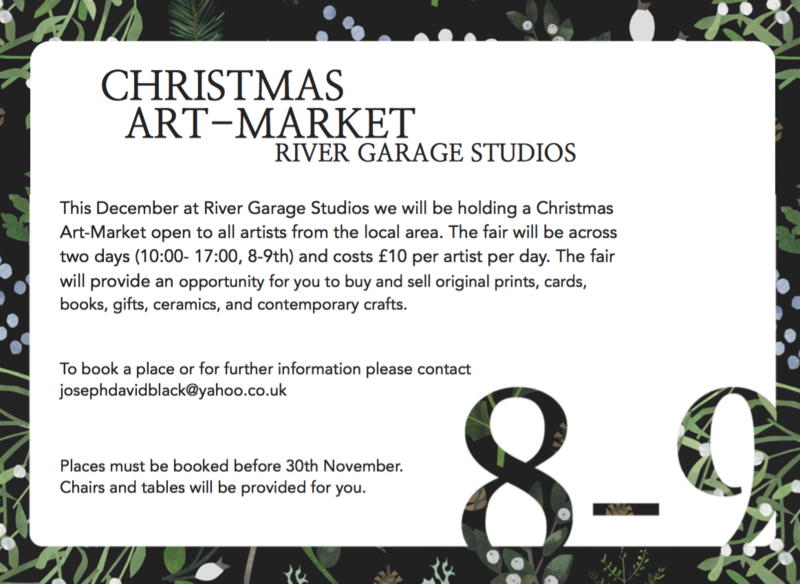 This December at River Garage Studios we welcome you to our Christmas Art-Market. We will be open for two days, 10:00- 17:00, 8-9th December, with stalls from local artists and makers selling personalised presents, Christmas decorations, cards, books, gifts, ceramics, and contemporary crafts. We will also be serving mulled wine (non-alcoholic) and hot chocolate.